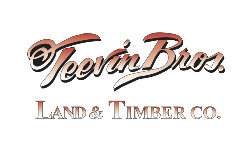 When Jeff and Shawn Teevin began the company in 1978, the Teevin Bros. were loggers – and we still log today. Nevertheless, Shawn’s restless mind and virtue of kaizen, “change for better,” tugged the company in many directions. A firm believer in vertical integration, Shawn has grown Teevin Bros. business lines in ways that are both complimentary and independent. Our trucking fleet serves the timber-harvesting group, the intermodal group, the quarry group, and other independent operations. Our quarry group supports our logging operations and our intermodal operations, and is also an independent business operation. Our intermodal operations support transloading of timber and lumber products, construction materials of all kinds, and specialty cargos – for ourselves and many, many others. However, setting Teevin Bros. above most is our seamless integration of trucking, railing and barging. We enjoy a well-earned reputation as innovators in the timber, quarry/hardrock, and transportation sectors. We enjoy the challenge of trying new things and making old things work better. We are Teevin Bros, we are your partner.